Because all we really need is a little Peace, Love & Understanding! If you're like me you love the beauty and intricacy of calligraphy. Now you can wear the beautiful work of art in a new and original scarf from Bernard Maisner and Echo Design Group. 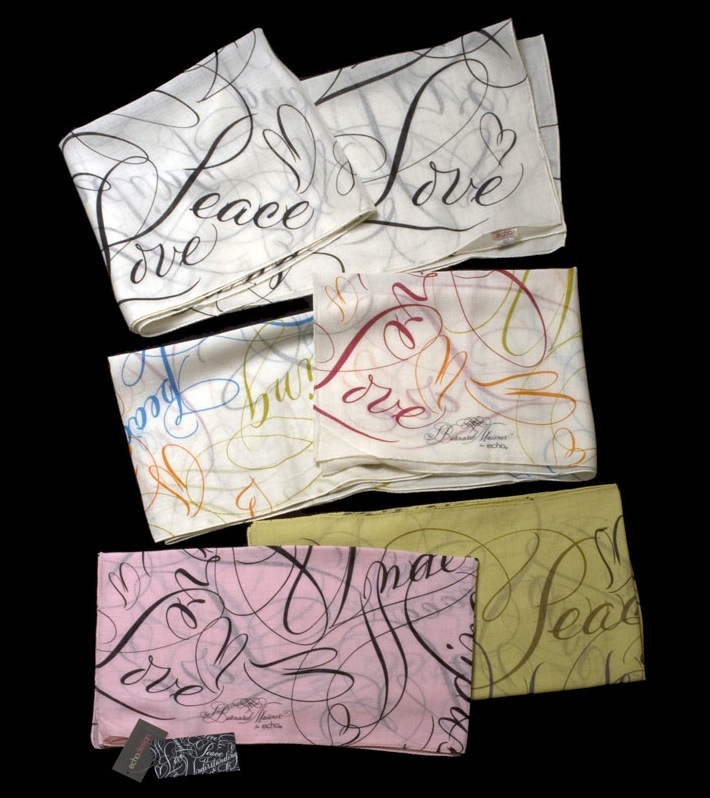 Each limited edition scarf is wearable art, voicing a message of Peace, Love & Understanding to the world. This message of hope and optimism is one that everyone can relate to. Maisner’s beautiful letterforms are screen printed on a delicate lightweight 100% wool scarf, combining the vision of an iconic artist and a world class design house. A fitting gift for any occasion! What a beautiful gift these would make! These are gorgeous and would be perfect for a groom's pocket square! The bride could give the groom her choice as a wedding gift and the words can have a special meaning. It would also look great if these were monogrammed with the couple's initials!